I've celebrated my 23rd birthday in Bangkok, Thailand with my friends: Ate Carla and Ate Doris. 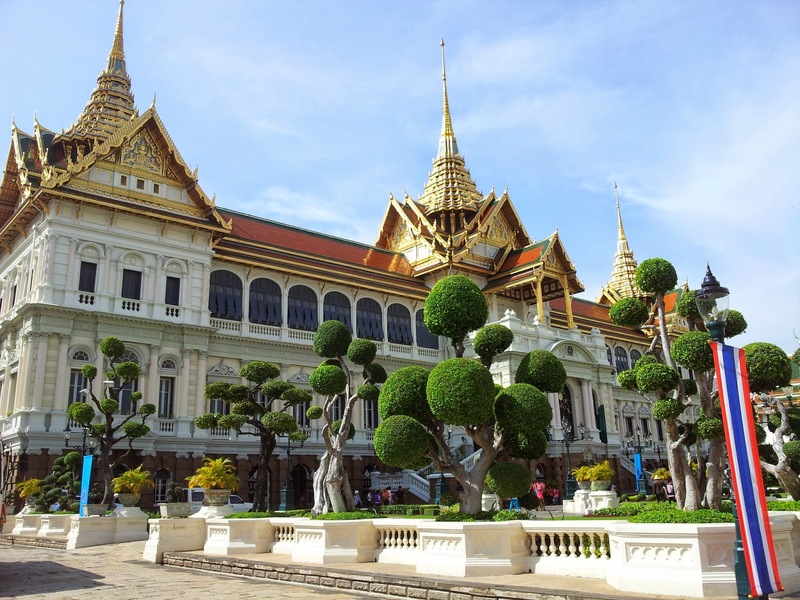 I've won a 2 night stay in Banyan Tree Bangkok so I asked myself why not go? The certificate will get expired on February and I'm very much sure that travelling from November to February will be more expensive. We departed Hong Kong on the 20th of October evening taking Emirates Airlines. It was very exciting as it was my first time to ride this massive A380 plane and I swear I have never took an airline with a second floor before. It has a touch screen tv too which was wonderful because nobody got bored. I watched the movie "Brave" which I've been wanting to watch for a long time. 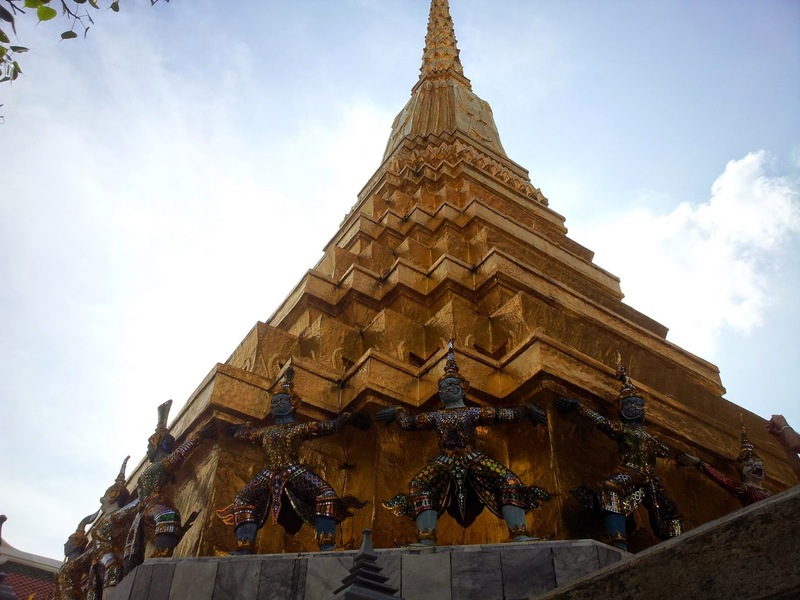 Below are some pictures that will evaluate the things we've done in Bangkok. 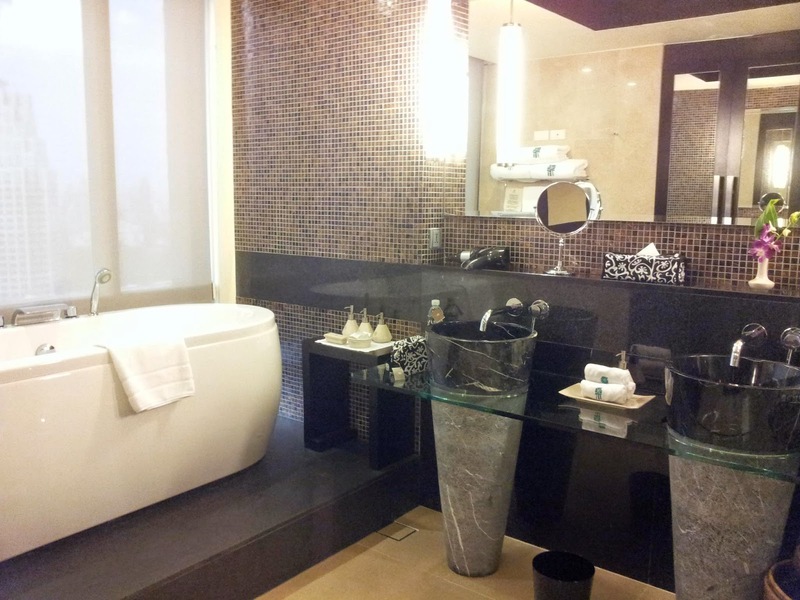 Firstly, here are 2 pictures of Banyan Tree Club Room. 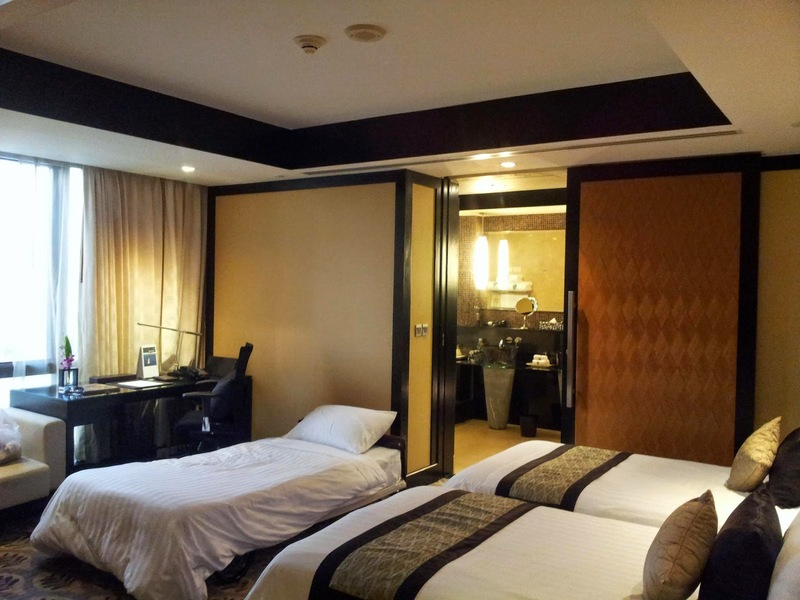 Since there are 3 of us, we got a triple room. Breakfast, lunch and dinner will be served in the club lounge which was quite relaxing, I should say. On our second day, we took the public ferry, and when they say public meaning very very crowded! It gets me a bit annoying sometimes especially when the guy assisting the boat blew his whistle. Anyway, we decided to move to the middle of the boat. 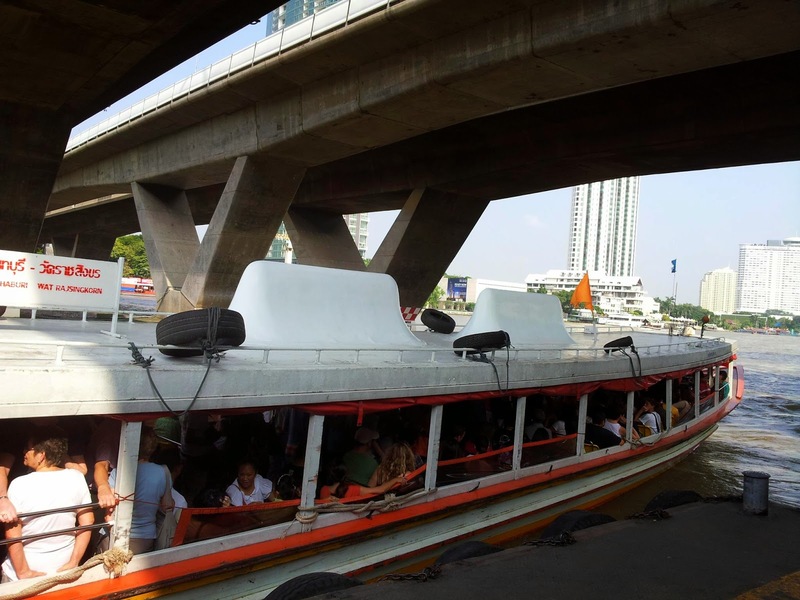 An all day pass will cost you 150 Baht which is much more reasonable if you're touring the area otherwise you may just stick to the fare of 15 Baht per way. 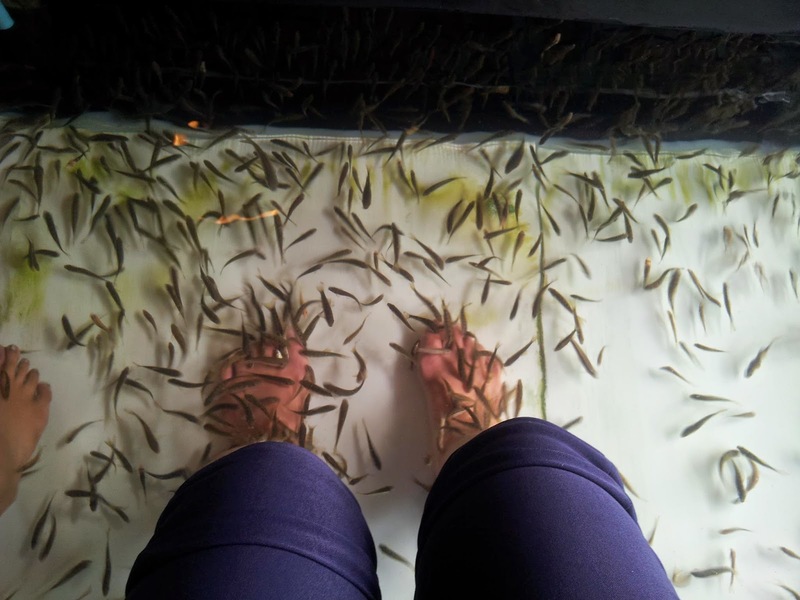 We even tried the very tickling fish spa, had massage and pedicure as well. It was cheap so surely, after all the stress from work, we deserve a relaxation like this. That evening, after being so tired roaming around the ferry stops and visiting the Siam Paragon Mall under the heat of the sun, we decided to bath in the pool before visiting the Vertigo bar that is very popular in Bangkok. 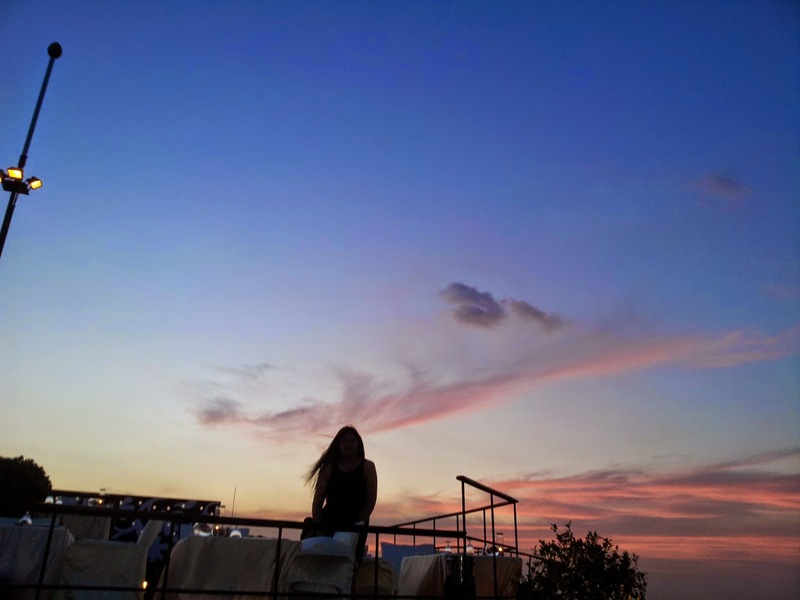 It's a rooftop bar in Banyan Tree where you can see a 360 degree view of the whole city. Truly a wonderful sight, but alas, we missed the sunset, plus they only accept people who are there for dinning or we can come by 10:30 pm or 5 - 6 pm for the sunset. We have decided to put it off the next day. That night, we roamed around bars and drank beer. For day 3, we had our city tour which I have booked beforehand. 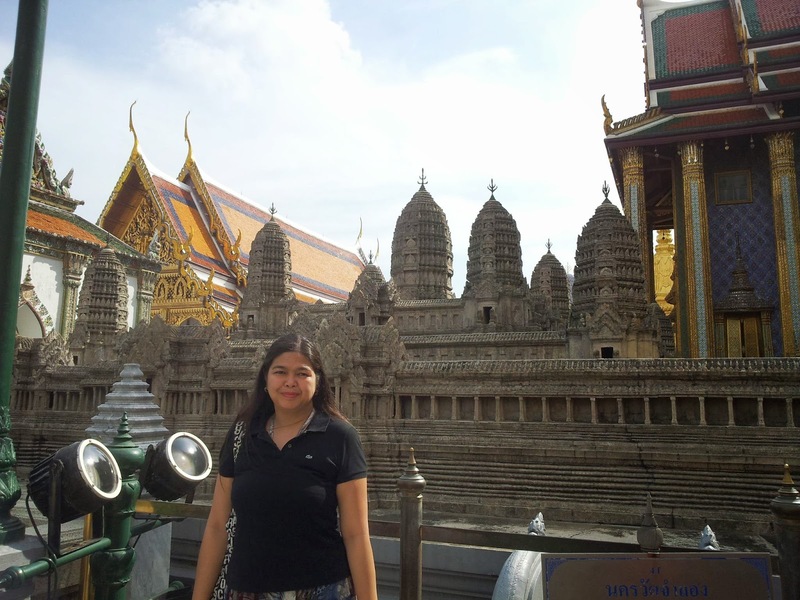 We visited the Grand Palace and the famous temples. 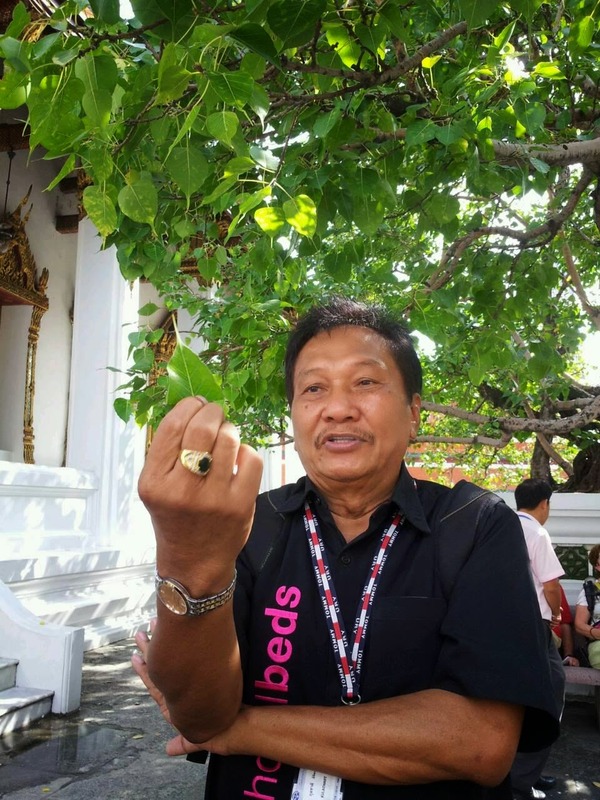 Our tour guide Chart is very much knowledgeable, he tell us a lot of stories (Lotus story and the Buddha Tree). I really like learning these things. After the tour, we went for a bit of shopping then came back to the hotel for some siesta. We woke up just in time for the sunset at the Vertigo bar. This time we have succeed, a nice view of the sky await us. That night, we also had some street food marathon. We've got BBQ, Tom yum, green mango, sisha and McDonalds! I hope that by starting my birthday with traveling, I can get to more destination in my 23rd year here on earth.